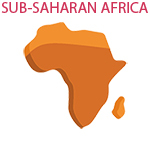 The 36th edition of Macfrut has its spotlight on the countries of Sub-Saharan Africa. The dedicated exhibition area will be animated with a rich calendar of events, networking, B2B and conferences. In the afternoon of Wednesday 8th of May Macfrut, in collaboration with the Italian Ministry of Foreign Affairs and International Cooperation, has scheduled a Ministerial Round Table dedicated to the horticultural and agro-industrial development of Africa, in the presence of relevant Italian authorities and of the Ministries of African countries, together with the respective Ambassadors in Rome. African Development Bank Group has in fact identified the Agrifood sector as one of the strategic assets for the growth of the Continent. The growth outlook of Africa is +5% of GDP per year, while within 2030 the African GDP will be the 5% of the global GDP. Italy, world producer of fruit and vegetables and leader in technology and packaging, can play an important role in increasing the business of small African companies that work in these sectors. Macfrut represents the hub of this process, being the only supply chain trade-fair that dedicates an entire pavilion to Sub-Saharan Africa, its international partner. It’s a great opportunity of growth and development for Italian and European companies working in all the sectors of the supply chain: from technologies to seeds, as well as sale of high-quality products desired by upper-middle classes, especially increasing in larger urban centres.